In Florida, it is illegal for an individual to operate a motor vehicle with a blood alcohol content (BAC) level of .08 or higher. If the driver is under the age of 21, that level is dropped to .02 or higher. Under-21 drivers found guilty of drinking and driving face penalties that may include license suspension and living with the consequences of a criminal record. If you are an under-21 driver who has been charged with DUI, you should work with an attorney who understands what is at stake in your case. At The Law Offices of Russell D. Bernstein, P.A., The Legal Helpline — A Private Law Firm, we represent clients facing all types of DUI charges. 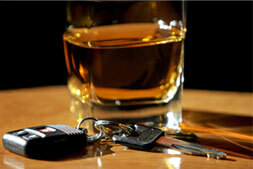 To speak to a Miami underage DUI lawyer, contact our firm today. The penalties associated with an under 21 DUI vary depending on the driver's blood alcohol content level. If an under 21-driver registers between .02 and .05 BAC level, his or her license may be suspended. To reinstate the license, the driver must complete a substance abuse course. If the under-21 driver's BAC level is over .05, his or her license will be suspended. To reinstate the license, the driver must complete DUI school. If arrested for driving under the influence, the under-21 driver will receive a temporary driving permit that is valid for 10 days following the DUI arrest. Within those 10 days, the driver must request a hearing with the Department of Motor Vehicles (DMV) to challenge the administrative suspension of his or her driver's license. To learn more about our defense of drunk driving charges, contact our law offices in North Miami, Coral Springs or Weston, Florida, today. Call 855-352-8425.